There is no information available on Hotels and Lodging within Hangzhou and City Prefecture. City Prefecture of Hangzhou - No Information available. Population: The Total Urban Population of Hangzhou City is around 6.16 million (2007 estimate). 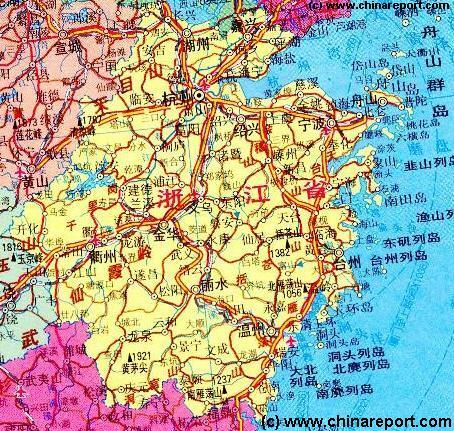 Geographically speaking Hangzhou is bordered by its main river, the Qiantang Jiang in the South. To the West of Hangzhou extend mainly rolling hills. In between of the Hills and the City Core is the magical Xi Hu, West lake scenic zone, of the most highly protected tourist zones in the Nation described and lauded by poets, scholars and even Emperors throughout the centuries. The most important and most well-known landmark and tourist destination is not within the City. It is the famous and scenic West Lake of Hangzhou, now world renowned for its scenery, landscapes and cultural and historical sites. On the north side of the Lake stands the Baochu Pagoda, which counters the Leifeng (Thunder Peak) pagoda on the south shore of the Lake. The lake itself is surrounded by rolling hills. The Main and only Railway Station of Hangzhou City, located due East of the City Center of Hangzhou and some distance away along the highway to the East. As the arrival point for many, the Main Station is home to a number of essential Services. As is the New Airport ! Hangzhou has a Railroad Station. Hangzhou is a city with a history of thousands of years. 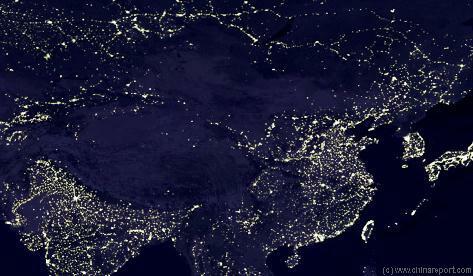 To begin with, it is known that the Yangtze river and its Delta have been inhabited for over 7000 years, that is since around 5000 BC. As for the city of Hangzhou itself, due to its excellent geographic location on the coast and near the West Lake, giving access to many rivers in the inner land it has long been a favored place for settlement. The city was first founded and recorded as such during the first and founding year of the Reign period of the Qin (or Ch'In) Dynasty (221 AD - 206 BC). That makes the city of Hangzhou as old as the Nation itself. Hangzhou is a modern city and considers itself a City of Fashion. Located at only 180 kilometers from the mega-metropolis of Shanghai, China's largest port, it is a major business hub for the thriving economic zone surrounding Shanghai and including much of Zhejiang province. Many factories supplying international markets are based in he vicinity of Hangzhou, and major businesses have their headquarters in the City. But Hangzhou is not merely about business, Hangzhou is also a city of beauty, not only of the landscape, but also of its women and their clothing, jewelry and asseccories. Befitting its historical legacy as both the City of Pretty Girls and the Capital City of Silks and Satins, Hangzhou has now become a City of High Fashion. Between October the 28Th and November the 7Th of 2003, Hangzhou organised one of its 1st great international fashion events, dubbed then the Fashion Tour Hangzhou and the 2003 New Silk Road International Model Look. For the occassion large flocks of International models took to the streets and popular sites of the city in order to promote the city, and its intentions to become a fashion Capital in China. Eversince a stream of fashion shows has been organised in the City, creating events with an ever higher quality, style and content. It must be said that most foreign visitors do note that Hangzhou, due to its splendid modernity is missing its own historical landmarks. That is, in the downtown city center there are but a few historic landmarks to visit, making Hangzhou rather indistinguisable from the many other modern and faceless Chinese Cities. Although the West Lake remains a beautiful gem in what is otherwise a astounding concrete jungle, some new highlights have popped up to boost the image to city nationwide and even internationally. Although not inside the city center, the first new tourist magnet of Hangzhou, a feat of modern architecture and engineering has been the new Hangzhou Bay Bridge, currently registered as the worlds longest ocean going bridge. Last year some 200.000 visitors came to see the phenomenon of Hangzhou's famous if not notorious 'Silver Dragon' and each year more flock to see this happen. Throughout the year visitors come to Hangzhou, to see the West Lake, and then the Hangzou Bay Bridge. Zhejiang Province, and thus the City of Hangzhou has a warm, humid and subtropical climate. That means the summers in these regions are hot, sticky and sweaty. The winters on the contrary are quite chilly and cold, regardless the southern latitude of the City of Hangzhou. Rain is not uncommon throughout the Province of Zhejiang and especially not in the coastal City of Hangzhou. The rainy season, in principle, occurs in May and June, with heavy rains that can last for days. During the other times of the year rain comes sporadic. Best season to travel to Hangzhou City is said to be in March through early May, before the rainy seasons turns up the humidity to a point where all day tours of scenic spots become a challenge, even for the young and lively. In spring vegetation is fresh and green, whereas most Chinese are still hard at work, allowing for enjoyable touring while avoiding the crowds. Worst times of Travel: Mayday 1 and the on-following 'Golden Week'. Spring Festival aka Chinese New Year, when, as throughout China railway stations, airports and buses are clogged with Chinese migrant workers returning to their Family homes. China Report - Sources: 'Travel in China'). Hangzhou's Tourism agency likes to remind visitors of the historic honorary title and reputation of 'Paradise on Earth' by which the city, as a travel destination, was for a long time known to the common Chinese people everywhere within the Nation. For a long time Hangzhou City has been number one among the favorite holiday destinations for Chinese within their own Nation. "Above there is paradise, below there is Hangzhou and Suzhou," according to an old Chinese saying. There is no information available on the Ethnic Groups living within Hangzhou and City Prefecture. best satins and Silks, for hundreds of years it was also the city of beautiful girls. Throughout the ages, particularly lustful Emperors would send envoys, or order Governors to round up women and ship the 'best' lot off to the Imperial Court. Beginning in the year 1060 AD and throughout the following twenty years, the still renowned Song Dynasty Era (960 AD - 1279 AD) Poet Su Dongpo (a.k.a. Su Shi) held a variety of government positions throughout the Empire, as was customary at the time. During his early career as a High Official sent from the Imperial Court Su, among things spent considerable time in the Government of Hangzhou City. However, due to his excellency in Confucianism and its basic Laws, incorruptibility and his duty of office Su regularly came into collision with the various political powers of the realm. Today the most noted deeds of Su Dongpo in official function include the erection of a pedestrian causeway across the scenic West Lake at Hangzhou, a walkway that is now a famous tourist attraction bearing the poets name: suti (蘇堤, Su causeway). Su also served in Shandong Province and was governor of the lesser town of Xuzhou (Hsüchow, or Suchow) in Jiangsu Province (not to be confused with famous Suzhou the city of Canals more to the South). All in all it was a brilliant if not stunning career, especially on the Literary front, until Su Dongpo decided to embroil himself in political actions. Carrying forth literary tradition Su’s weapons of choice were his Poems and his considerable intelligence. In the years 1080 AD to 1086 AD Su Shi was sent into exile in Huangzhou, a much smaller rural inland Town (in Hubei Province), where he was sent to perform a lowly Government job which rendered him some status but no salary. Although he was at fist pardoned by the succeeding Emperor, he spent the next stint of Exile on Hainan Island, at the time known as the end of the world. Needless to say, due to his architectural work on- and contribution to the greatest scenery in China, the west lake, Su Dongpo is well-known throughout Hangzhou, and often haled as the cities prime Poet. In 1972 AD during the much hailed break-through visit of the American President Richard Nixon, the presedential party was given a blitz tour of the cities Beijing, Shanghai and of course Hangzhou, know as the number one scenic city in the Nation. During the well advertized stay over in the City, Nixon was treated to yet another huge banquet and then interviewed for Chinese TV and followed everywhere by a select group of U.S. journalist and an even more select group representing the entirely state controlled Chinese Press. The images from the visit have become historic. During his visit Richard Nixon symbolically planted a Sequoia as a symbol of friendship between the U.S. and China. It still satnds today. 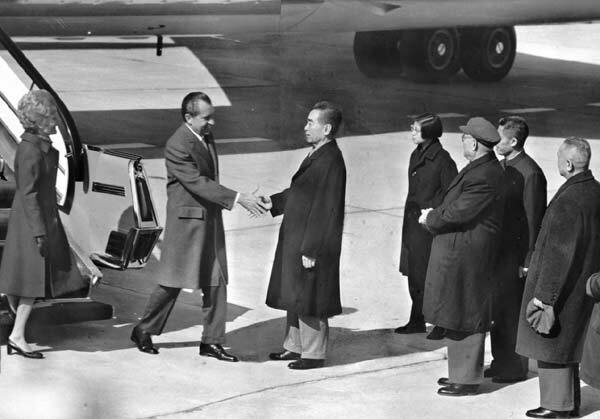 Official Photo of President Nixon and wife arriving at Beijing Capital Airport in 1972. The Chinese welcoming Party is notably headed by Zhou Enlai, but all high ranking Government members were present, including Jiang Qing, Mrs Mao Zedong. Geographic Map showing the location of Hangzhou and main cities in the region, as well as their elevation above sea level. Clearly, the Grand Canal had to be nearly level for efficient use. one of the most important trading ports in the world. To be exact, the Grand Canal started in the South at Hangzhou, then followed a course across the west lake to reach Suzhou in Jiangsu Province, and then led northward past Wuxi, Changzhou, through the scenic old town of Zhenjiang - connecting over the Yangtze River to Nanjing due West, and North to Huai An and beyond up North. 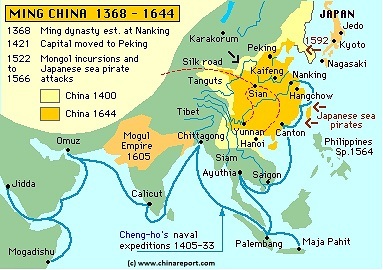 It was the major economic artery of the entire Nation, which eventually would even reach as far North of Beijing when extended during the Zhu Di (Yongle) Reign of the Ming Dynasty (1368 AD - 1644 AD). 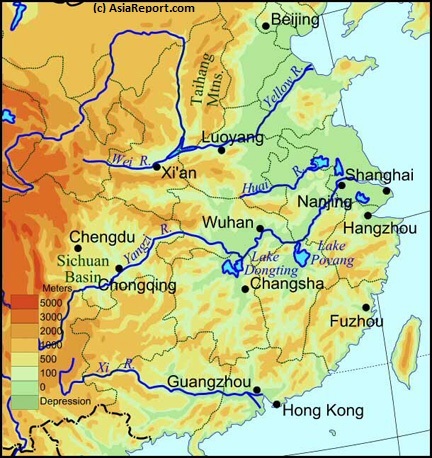 Upon its connection to the Canal in the year 610 AD, Hangzhou thrived and boomed as the most important lay-over point for goods as well as the shipping point for grains from the fertile Yangtze River to be shipped up north to the dry, arid and still overpopulated regions there. 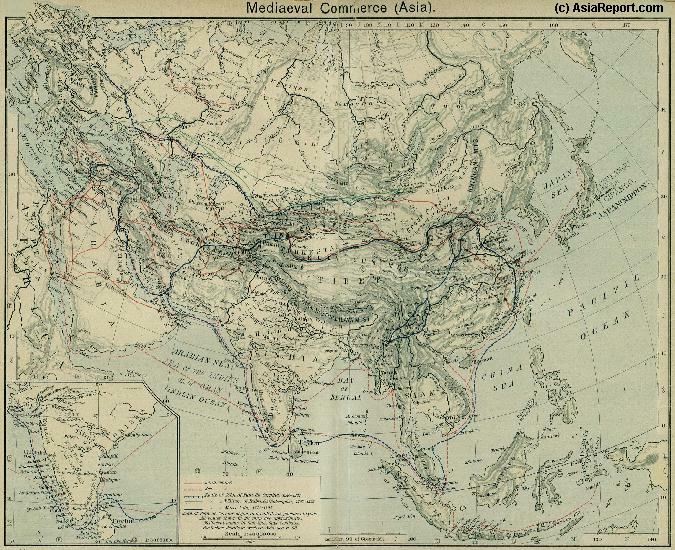 Marco Polo visited the city in the 13Th Century when the Mongolians Ruled over China in the Yuan Dynasty (1279 AD - 1368 AD), and described it at length in his Book 'Il Millione', today often published as 'Marco Polo's Travels'. To him it was one, if not THE most beautiful city in all of China and indeed the world. To the the Chinese it was known as the 'Land of Fish and Grain', much of its abundance yielded by the waters of the west lake. Apart from the Fish there were the ducks and other featured creatures of the lake. Due to the proximity of the Grand Canal, and the availablity of a variety of navigable waterways; across the West Lake and through other waters in the regions, as well as connections through the huge coastal port of Shanghai, Hangzhou was for many centuries also a thriving trading City. It was known as the City of 'Silk and Satin'. Coming to Hangzhou, as with other Cities in the South, means coming to a place where the good life has been elevated to an art form. Other than for its pretty and elegant girls, High Fashion, Clothing and of course the ultimate assessories, Hangzhou is also renowned for its good food and immaculate tastes. Today Hangzhou Cuisine is still one of the major (6) styles of Chinese Cooking and it shows within the city. Apart from the multitude of fashionable little bars and shops surrounding the high streets, there is an even larger choice of restaurants available. Supposedly the Hangzhou cooking style reflects the closeness of the West lake and the auspicious influences radiating from it. Thus, the tastes are delicate, tender, fresh and crisp, creating a light pallatable taste. Modern Hangzhou cuisine has absorbed a multitude of Foriegn Styles, so there are enough new dishes to try out in the city at all times. Hangzhou is a food spectacle. More than 40 Hangzhou Dishes have been adopted in various styles internationally. To name but a few; Dongpo Pork, West Lake Sour Fish and Beggars Chicken are all native dishes that are worth a try. One can continue the culinary adventures with the local steamed dumpling variety, Hangzhou fried sweet meats and a thing called wonton soup. You Tube Video: Advertizement for the Modern City of Hangzhou - Still a number one Travel destination in China for holiday makers & business travelers alike. Complex and the world cultural heritage garden park of the (new) Summer Palace - Yiheyuan. Countless other such spots, recounting the fame of the West Lake scenery, are found around the land and its various Provinces. Even after 'Liberation', during the Mao Zedong Era of totalitarianism, it was a place of especially great beauties, a life of comfort and abundance. Its greatest attraction, the 'West Lake' - Xi Hu. As a result of its resounding almost mythical fame, after the creation of a new China in 1949 AD, a long parade of Communist Political Cadres planned their leisure visits to include the city and the Lake. As is well known to the informed public, during his rule from the 1950s virtually to his death in September of 1976 AD, Mao Zedong the great Chairman kept a much visited Villa on an island situated in the West Lake. Since long, and enduring through the Communist Era the West lake and the city of Hangzhou have been a mythical holiday destination, ranking among the absolute top in the Nation. In 1972 AD during the Nixon visit to China, the American President was given a tour of the City of Hangzhou and its most famous scenery naturally including the West Lake. By now, in 2015, countless foreign tourist have followed the President and have come to see the Lake and enjoy the city with a historic legacy to fit the landscape. Today the reality around the West Lake is quite a bit bleaker than the mythical tales would lead one to expect, and -except for the historic sceneries- quite different. Pollution has taken over the City and its air, wheras the West Lake has been polluted by fish farms and industrial waste waters. China, Zhejiang Province and also Hangzhou have become the economic engine and factory of the world. Although Hangzhou, upon a glance seems to be one of China's fastest moving, most fashionable and most scenic Cities, the enormous economic and population expansions have taken their toll on surrounding regions. Nevertheless, Hangzhou remains one of if not the top tourist destination City within China, which prouds itself on a thriving business climate. The new development explosion of the city has even produced new tourist landmarks, as Hangzhou has become home to some of the most spectacular pieces of modern architecture and construction in the nation and region. Among them, the Hangzhou Bay Bridge which, at 35.673 km (22 mi) in length, Hangzhou Bay Bridge, is currently the longest trans-oceanic bridge in the world. Opened in June of 2007, the new bridge spans across the ferocious waters of the Hangzhou Bay to connect directly to the City of Ningbo, which together with Shanghai some 350 kilometers to the North now forms the largest commercial port area in the entire world. Needless to say business is booming in Hangzhou and the regions, and the rapid pace of change will continue for some time. You Tube Video: Discovery Channel 'man-made marvels - Hangzhou Bay Bridge'. There is truly to much to see, experience and describe in the mega-metropolis of Hangzhou today, let alone in its vicinity and wider region. To get a full idea of the many things to see and do when visiting the city, please browse around our extensive pages on Hangzhou, history, transportation, maps, landmarks and monuments and more. You Tube Video: CCTV-9 Opening of worlds longest ocean spanning bridge. Among the famous attractions of the 6 square kilometer Lake is the Su Causeway, suti (蘇堤), a 2. 8 kilometer long walkway bearing the name of its architect the Poet Su Dongpo, aka Su Shi (苏轼). Su was a Poet, Scholar and highly talented official until his political downturn and exile, among things on the remote Hainan Island off the south-east coast of China. Su is one of the famous and usually rare scholars who dared contradict the Emperor or at least his Courtiers, landing him in trouble during his life-time but earning him the place of an immortal in Chinese History, earned by reputation. (Read more on Su Dongpo in: 'History of Hainan province (2) Hainan in the Tang and Song Dynasties'). The walkway is one of the highlights of any visit to the West Lake its length lined with willow, hybiscus, magnolia and other trees, adding additional scenic sights to an already astounding landscape. Other scenic sites in the vicinity and region of Hangzhou include the 1000 islands lake - Qian Dao Hu, and the nearby Tianmu Mountain (Tianmu Shan). first time visitors. There are however a few historical relics and monumental buildings and sites to visit within the City. Hefang Street is the main Luxury Shopping Street in Hangzhou but is also known as Qinghefang Old Street. One of the historic commercial streets of Hangzhou, today's Hefang Old Street is a noisy and busstling pedestrian street that seems forever clogged with mainly Chinese Shoppers. As a decor for the thoroughly modern shoppers Hefang Street features an abundant of makeshift puppet theatres, tradional stores with Tea, herbs, Silks and trinkets and of course its Gem, the Huqing Yutang Medicine Store and Museum. The Museum is the number one tourist attraction in Hefang Street and is a wortwhile stop-over for the necssary dosis of Chinese Culture. Have a look around inside and appreciate the unique and fully preserved interior, which is representative of the year 1874 AD when the shop was first founded. , the first place traditionally listed on the tourist itenerary is the Tomb of General Yue Fei (1103 AD - 1142 AD), the commander in Chief of all of the Song Armies in their losing battle against the Yurchen (=or Jurchen) Tribes who succesfully invaded Northern China during that Era and among things established their rule over the City of Beijing, establishing the so-called (Northern) Jin Dynasty as they progressed. For his bravery and accomplishments in fighting the Yurchen, the General was posthumously lauded by the Emperor in the year 1163 AD, leaving todays Tomb Complex. Near the Generals Tomb is a second attraction of considerable interest. This is the Yellow Dragon Cave Park . Follow the footsteps all the way up the hill to find a secluded and comfortable corner filled with Tea Houses, Bamboo bushels and a multitude of ponds. Its a fine garden set along the hillside, which is but a stop-over to clim further and find the hidden jewels of this park. At the very top is another soothing pond which is the one giving its name to the Park. Further jewels of the City Prefecture are the Leifeng Pagoda and its neighbor the Jingci Temple or Chan Zhen built first in the year 954 AD. This Temple Complex, set along the north rim of the scenic West Lake - Xi Hu, is the main religious gem of the City, and the great bronze bell inside the Leifeng pagoda is regarded as the Main New Years bell for the City of Hangzhou. Additional attractions on the West Lake are the Lingyin Temple Complex and the China Academy of Art, the first such Academy to have been in established in Chinese History. Naturally it was in the cultured city of Hangzhou ! A most recent addition to the list of tourist attractions has been the now world famous Hangzhou Bay Bridge, registered as the longest ocean going bridge in the entire world. Since its opening in the summer of 2007, throngs of Chinese but also international tourists have made their way to Hangzhou, not only to see the West Lake, but especially to take a tour of this spectacular bridge. The Hangzhou Bay Bridge is a staggering feat of engineering, not so much because of its length, but because of it crossing some of the most dangerous and notorious waters in the world, as Hangzhou Bay is known for its violent weather changes, deceiving mists and not least for its treacherous currents and the awesome phenomenon of the so-called 'Silver Dragon', which is unique to Hangzhou. The Qiantang River Bore (Silver Dragon) in Hangzhou is a natural wonder that it is both beautiful and intimidating at the same time. The bore, which is a tidal wave, is formed at the mouth of the Qiantang River where it joins the Hangzhou Bay. The tremendous narrowing of the river from a width of 100 kilometers and the gentle rising of the riverbed at this point constricts the river water and creates a giant wave that is called the tidal bore. This tidal bore has claimed innumerable lives in the past years and is still a threat to the native people of the Yanguan village as it travel at high speed along the Qiantang River upstream and against the usual current. Anything in its path may be destroyed by the wave, which can reach heights of up to 9 meters and travels at speeds of around 40 kilometers an hour. Needless to say, the danger and the drama of this rare natural phenomenon increasingly draws the crowds, making the Silver Dragon one of the most interesting and spectacular sights or events to catch when visiting Hangzhou. time is held to be around the occurrence of the full moon. On full moon days the sea's tidal waves are held to be stronger, which in turn drives the currents in the narrows of the Hangzhou Bay. Naturally the Silver Dragon has also been turned into a Goose with Golden eggs. Thus, the City of Hangzhou annually organizes a festival around the dramatic phenomenon. This Silver Dragon Festival is held yearly in September, always on a full moon day. The Festival itself focuses that on the watching of the tidal bore reaching its great height. Every year it attracts thousands of visitors, mainly to the site of Yanguan village where the Wave it most easily watched as it rushes over the waters of the river. The sight of water rushing upon water with a supernatural force is formidable and also mesmerizing to many. And yearly some come too close for comfort and are dragged into the waters, or equally bad, washed away when the wave overflows the river banks.. The grayish dark water of the river water, the death toll it has taken throughout the centuries and the enormous height to which the wave rises has given it the name “Silver Dragon” or the “ Black dragon”. A Full listing of Hangzhou City Landmarks, Monuments, Hotspots and other sites of importance in alphabetical order. Search through the list to find your Full Report and Photo-Virtual Tour of each monument or landmark within the City, or Region of Hangzhou in Zhejiang Province of China (PRC). 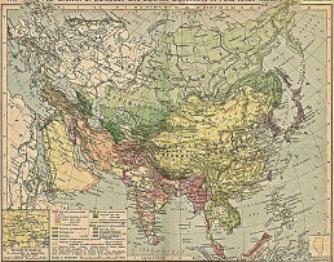 Overview Map of the expansion of China during the Ming Dynasty, while maritime missions of crucial importance take to the sea to connect with countless nations and kingdoms. Christian churches as they were regarded the same as Temples. Christians were finally safe to practice their religion in China without fear of Governement prosecution nor random violence, but the edict went even further by legalizing the Christian missions and the practice of Christianity by the Chinese people. They could thus continue with their practices of conversion and Chinese converts, at least in theory, would be safe from their fellow Chinese. Reaching this point, an unprecdented contract with the Chinese Imperial Court had been a painstaking process, a road with many twist and turns, bumps caused by mutual distrust and misunderstandings. There would be many more to come down the road. Even before his meeting with the Kangxi Emperor, Father Intorcetta had founded what is known as the first Jesuit Novitiate, what can be regarded a first Missionary training center in the City of Hangzhou, at the time one of the largest and economically most important cities of the Empire. Subsequently, Intorcetta spent nearly 20 years in the city, mainly preaching, teaching, organizing and translating and studying Chinese works of science, philosophy and literature. It was common practice among the sucessful leaders of the Christian Church in China to inform themselves in such fields, as this was the only way to communicate with- and earn respect from the Chinese Ruling Elite, nearly all of whom were Confucian scholars. Father Intorcetta died on October the 3rd 1696 AD in the city of Hangzhou.